In this lecture you will find all the necessary information to satisfy your curiosity on the field of barcode reading from the video stream of a USB camera with the help of your C# camera application. To implement this example successfully, OZEKI Camera SDK has to be installed and a reference to OzekiSDK.dll has to be added to your Visual Studio project. The barcode scanner function is a great help in corporate environments. If you have a smaller office and you want to register your equipment, the USB camera barcode scanner is the best choice for you. It is capable to recognize barcodes and QR-codes and only requires an USB-port to do so. If you want to avoid any chances of a security breach by using this application you can avoid the using of IP cameras to effectively recognize barcodes. We can mention another example, if you use QR-codes and you want to host a lottery, you can use an application developed by using Ozeki Camera SDK to validate the tickets of your winners. On the first illustration you can find an example for barcode reading and how this function can help you in supervising, detecting and identifying the items and tools which can be found in limitless amounts in your warehouse, shop, etc. 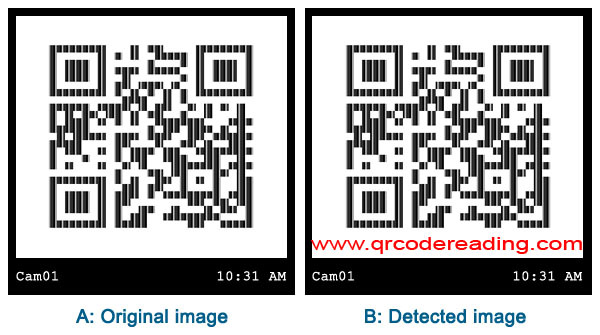 On the second picture you will find the QR code detecting function illustrated. The using of the QR-code is extremely popular in industrial environment, in logistics and in production since it is an effective medium for storing data. Using the QR-code detecting function of the Ozeki Camera SDK you can easily benefit from the advantages of QR-code detecting. We can mention another fields where the barcode scanning function can be used efficiently: If your company provides VIP-tickets you can use QR-codes as a safety measure to help avoiding frauds. During the registration, every guests receive a personalized QR-code that displays their name upon checking. When they arrive, the security can easily distinguish unwanted guests from the real ones. With the help of barcode reader function you can scan and analyse barcodes from local image or from video stream as USB, RTSP, ONVIF cameras. 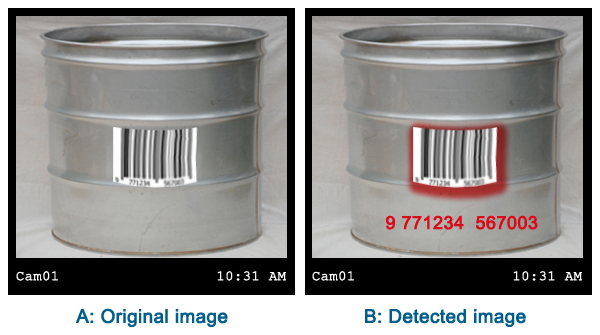 The success of the barcode reading depends on the sharpness of the image, the distance between the barcode and the camera, the format and size of the barcode. How to read barcodes with an USB camera device using C#? First, you need to declare and initialize an IBarcodeReader and an ImageProcesserHandler type variable. Note: This application has a lot in common with our IP camera barcode scanner application. If your needs require multiple viewers at a time or a greater distance between the camera and the viewscreen, we recommend you using an IP camera. On this webpage you can find all the needed information about barcode scanning in C#. If you follow these article you will be able to successfully implement barcode reading from the stream of an USB camera in C#. What is the smallest barcode size that can be detected? It depends on the distance between the scanner and the barcode and on the sharpness of the image which is taken by the camera device. 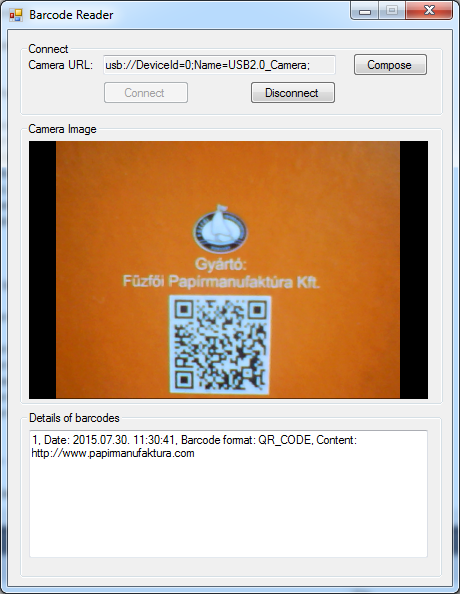 What platforms are the barcode scanner of the Ozeki Camera SDK available for? The barcode scanner function is available for all types of Windows. I cannot manage to connect the barcode scanner to the FrameCapture. Why? First, the frame capture should be connected to the camera. After this the frame capture should be connected to the barcode reader. Finally, the frame capture also needed to be started.